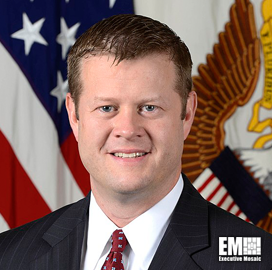 U.S. Army Undersecretary Ryan McCarthy has said in an interview that the Army Futures Command comes at a time when the military needs to keep pace with advancements in technology and formalize its business relationships. McCarthy explained that the Futures Command was established to initiate formal collaborations to speed up the delivery of information and results, the service said Friday. He added that having a military-industry relationship enables contractors to help the Army solve problems and informs those vendors about what the service seeks in a product or service. “Clearly we want them to be successful, but we have to communicate to them what exactly we want. And we have to be consistent so they can invest in their products and services, allow them to evolve and bring the cost down,” McCarthy said. The Army official also noted that the organization ultimately intends to bring capabilities critical to the priorities of the service’s Chief of Staff through the Army Capabilities Integration Center and the Research, Development and Engineering Command. Lastly, McCarthy believes that creating a cost-efficient lifecycle plan is important in developing weapons systems. 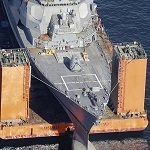 “Getting a life-cycle plan in place that’s not only cost-efficient for managing and upgrading these systems over time, but also keeps operational rates up, is absolutely critical,” he said.